Whether you’re aware of it or not, training is always happening! Every owner starts training their dog from the minute he arrives home and training continues throughout the dog’s life. Sometimes, without the proper education, owners teach their dogs the exact behavior they were trying to avoid. Dog-Gone Fun will show you how to communicate with your dog in a positive way. Our classes will show you how to have fun with your dog while you teach him manners and boundaries, allowing him to become an enjoyable part of your life – wherever life takes you. – convenient to Winston-Salem, Greensboro, High Point. – small in size, resulting in more personalized classes. – provide weekday, weeknight and weekend sessions. – equipped with a large climate-controlled indoor training area and a large fenced outside training area. 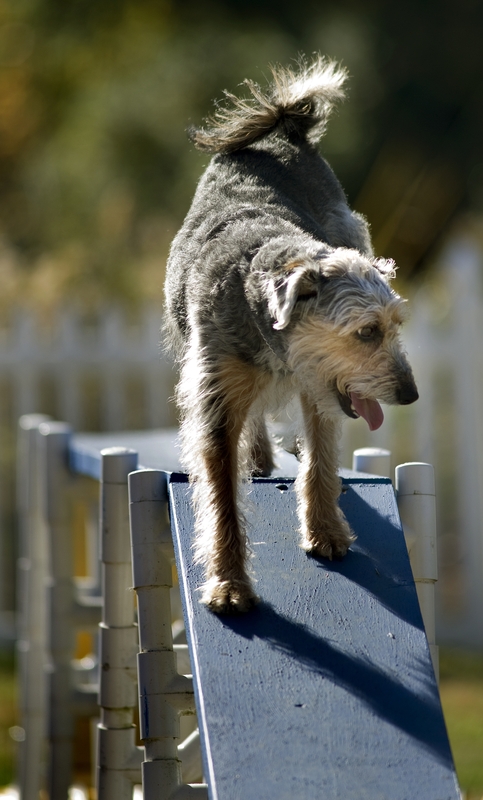 We offer courses in Agility, Obedience, K9 Nose Work®, and Puppy Training. To learn more, please see the descriptions below, or jump to the full details for each by clicking on the course name. Puppy Training is a program for owners to drop their puppy off between 7-9 a.m. and pick them up between 4-6 p.m. for a predetermined number of days. We set up a formal housebreaking regimen for young puppies and they are taught to eliminate outside. We give you, “the owner”, the educational material, and the encouragement that you need to continue the same routine at home. Any questions and concerns that you have are resolved on a daily basis. Using positive reinforcement your dog will learn the sit-stay, down-stay, walking politely on a lead as well as coming when called in a low distraction environment. Skills for greeting another person and walking calmly around other dogs will also be introduced. Can your dog find a crumb on the floor or a treat in your pocket? This is the class for you. Dog nose class is designed to encourage your dog scenting ability, curiosity and heighten his natural desire to hunt. It burns mental and physical energy and builds confidence. A great class for shy, fearful dogs. Positive Reinforcement techniques are used to teach the basic control commands needed. 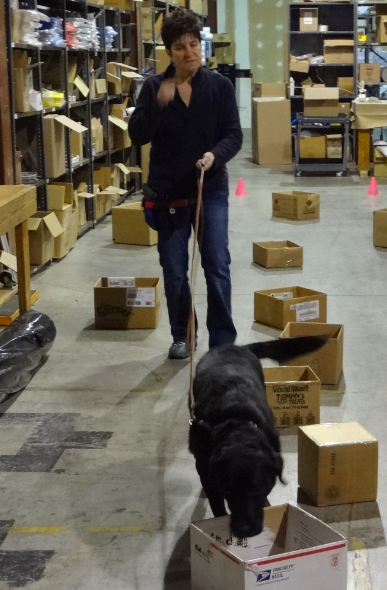 Dogs and Handlers will learn directional controls and targeting. The dogs will be introduced to the obstacles and establish recognition of contact zones as well as learn to work off-lead in the presence of other dogs.